Ubuntu Vs. Linux Mint - Who has the Edge..? ~ Your Own Linux..! 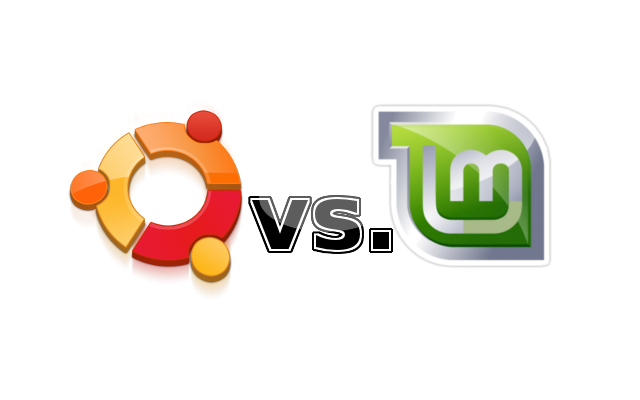 Ubuntu Vs. Linux Mint - Who has the Edge..? To begin, let us walk a little family tree of Linux Mint. 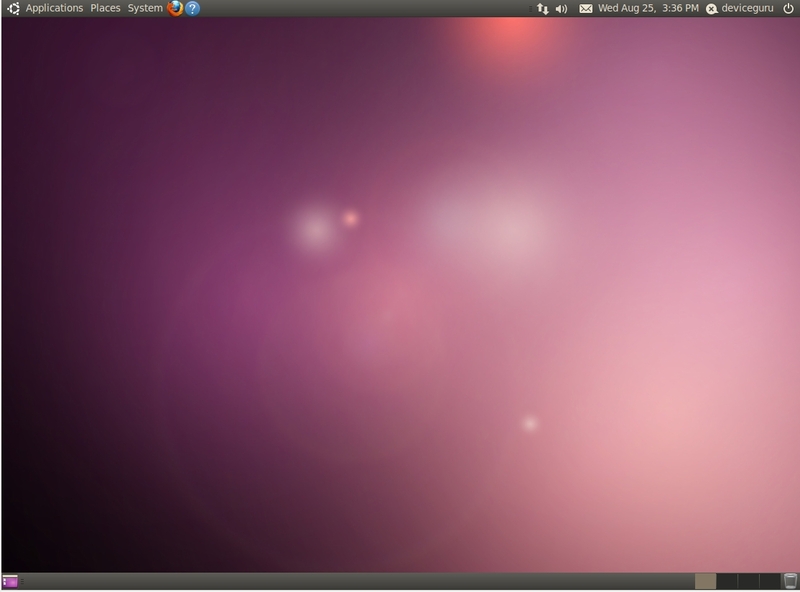 Ubuntu is based on Debian GNU / Linux. And Linux Mint is based on Ubuntu. However, a project was initiated by the Mint team to create either a distribution based on Ubuntu, but directly on Debian. Open, stable and easy to implement, Debian has a strong reputation in the market even if some find this version of Linux too conservative. A major strength of Mint is a good device support, including multimedia equipment with the integration of many drivers and codecs. This distribution is continuously updated with a very reactive community. Yet it is a source of problems for some users on the forums that explain the distribution is buggy. As OpenSuse is a distribution for enthusiasts and experimenters. The best hardware support eventually cause problems with hardware. Some systems are clearly better suited than others, and each case is unique. Mint is more "user friendly" whereas Ubuntu and Debian are more suitable for setting up a server. If Linux Mint 12 is based on Ubuntu, it comes with several user interfaces to choose from, namely, Gnome, KDE, Xfce, LXDE, Fluxbox. This is what appeals to traditionalists users who have experienced the Unity desktop environment for Ubuntu. For some critics of Unity, "the computer must be in the service of the user and help improve productivity. Resources and functions must never be hidden but easily accessible." 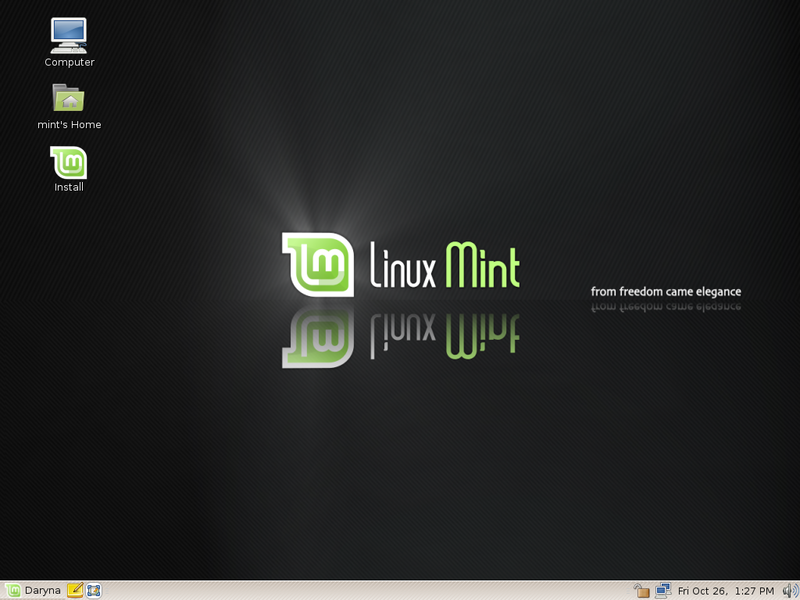 Based on version 3.0 of the Linux kernel, so Mint offers several flavors, but clearly supports Gnome 3.2. If for some reason Gnome becomes slow, the interface is very stable, and supports a variety of hardware platforms. The interesting point is, however, that if the Mint's reputation rests largely on the use of Gnome, this distribution includes also customizations like Gnome Shell and MATE. MATE is a fork of Gnome 2.x interface - the equivalent of Trinity KDE 3.5 - still supports Gnome 3.2. Mint developers readily admit that MATE is incomplete and is not yet fully stable. Pushing a little MATE, simply by opening multiple videos simultaneously, it is possible to saturate the core and get the equivalent of a blue screen in Windows or Mac OS. Several minutes are then needed to restart. The fans are delighted by MATE Gnome while less passionate users are a bit lost and do not understand the advantages of one over the other. To cope with all the problems on workstations Linux Mint offers updated solutions almost on daily basis. Many packages are available with Mint and they are all pre-installed, there are not too many updates to do as compared to Ubuntu. But unlike Ubuntu, Mint recommends only those that do not affect the system. A list of software included in Mint is particularly long (X.Org 7.6, Mozilla Firefox 7.0, Mozilla Thunderbird 7.0 LibreOffice 3.4 ... ), each with its packages, and distribution has come a long way to manage them properly. Discipline imposed by the foundations of Debian. Linux Mint 12 uses a default search engine called DuckDuckGo. Designed to be an alternative to Google, Bing, Yahoo and all the other tools that keep navigation data to develop a marketing profile of users, DuckDuckGo ensures total confidentiality. It can be used in any browser.The revenues are shared between DuckDuckGo and Linux Mint, but unlike Google no cookies are stored on the machine and tracking IP addresses is not applied. As far as this point is concerned, Linux Mint definitely has advantage over Ubuntu. Although there are subtle improvements in newer versions of Ubuntu, Mint just feels energetic while being used (even on your old computer). So, if you are trying to install Ubuntu on your old system so as to improve its speed, try Mint rather to enjoy better experience. One noticeable thing observed in Ubuntu is that, it takes mere 9 seconds to boot which is really laudable as compared to Windows which takes not less than 30 seconds to boot. Booting time of Linux mint also is on faster side, even though it being not as quick as Ubuntu, measuring around 20 seconds. Praiseworthy! Beginners who are not savvy, would surely like to continue with Linux Mint. Its desktop environment is as simple to use as that of Windows and Mac. Navigating among directories finds easier in Mint. Whereas Unity Dash of Ubuntu is comparatively a bit complex to understand and use. When it comes to installation of new programs, novices would love Ubuntu for sure- all credits go to Ubuntu Software Center, too easy to use. For tech savvy group of people, using Linux Mint is recommended. They have a lot of scope to customize everything in Mint as compared to Ubuntu. If they don't like desktop environment of Mint, they can change it and make it acceptable for themselves. Which Linux flavor would you recommend? Let us know in comments. "Beginners who are not savvy, would surely like to continue with Linux Mint. Its desktop environment is as simple to use as that of Windows and Mac. Navigating among directories finds easier in Mint. Whereas Unity Dash of Ubuntu is comparatively a bit complex to understand and use." "... If they don't like desktop environment of Mint, they can change it and make it acceptable for themselves." You are saying that Mint desktop environment is as simple to use as that of Windows and Mac but why didn't you say instead "If they don't like desktop environment of Ubuntu, they can change it and make it acceptable for themselves."? Since, Unity is complex which means difficult for beginners, why not suggest how to make it easy. is it not logical that you suggest how to address the problem in Ubuntu(Unity) since Unity is just a desktop environment that can be replaced with other desktop? Not unless you also believe that Ubuntu itself no matter what desktop environment running with it is not good. This is just one thing why I am saying this post is unfair. Try to read the whole post. The discussion is 90% versus 10% in favor of Mint OS. You might be fan of Mint OS but since your comparing these two OS, you must have been fair. You didn't disclaim that you're not familiar with Ubuntu.